Mischa Barton is best known for her role as Marissa Cooper in the hit television show- The O.C. Mischa began acting at the age of 8, and has since then appeared in various television shows, music videos, and movies. Currently, she is the spokesperson for "Climate Star", an organization that fights Global Warming through social and legislative activism. 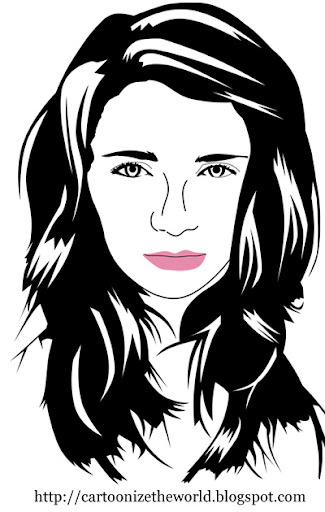 Mischa Barton, you've been cartoonized. The lips and the eyes are fine, the nose just doesn't work!